Now that we are all on the hunt for that perfect Holiday Gift I would like to issue the Handmade Challenge to my friends and family. With money so tight and the economy so scary we are thinking more about, not just what we want to buy, but who we want to buy it from. If you go to, insert big box store name here, and buy something you are a drop in their huge pile of gold. But if you buy from, insert name of individual artisan here, you are helping that artisan make a living, stay home with the kids, or helping them support their crafting habit. If you buy hand made you are that artisan's customer and supporter not just a consumer. I hope that sounds as upbeat and fun as I mean it to sound. Take the Challenge, truly unique and one of a kind gifts are in your future. And don't worry I'm not going to abandon you to the wolves of finding hand made gifts. I have some ideas for you and I will be sharing a ton of them over the next month and a half. A great place to start your hunt is on etsy, Paper Stitch, 1000 Markets, or one of the other handmade market places. I will share more in the next post. okay now for the gift ideas. I have 4 categories: $10.00 and under, $20.00 and under, $40.00 and under and $60.00 and over. I hope you enjoy them and get inspired. Standard size coffee scoop to measure the quantity of coffee to coffee machine. These may also be used for simple decoration or as a souvenir. 15g (4.5 x 1.5 x 1.2 inch). 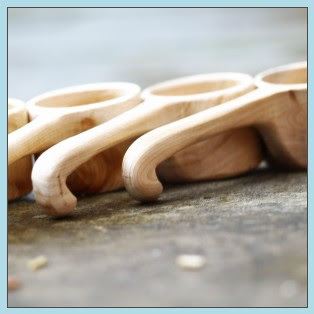 These super cute coffee scoops would make a great stocking stuffer or teachers gift. All her prints are individually printed by the artist. They are printed on Specialty Bockingford Watercolour Inkjet paper, which gives the print the look and feel of an Original watercolour. Each print is hand-signed, titled and numbered by the artist Elle J. Wilson and comes with a Signed Certificate of Authenticity. I have one of these prints and I absolutely love it. 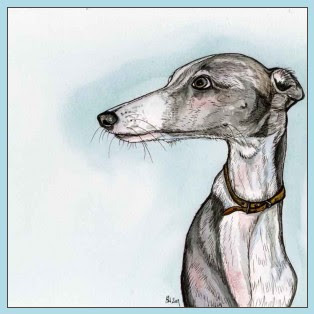 Christine's work is really lovely, impeccably finished, and loved by many. This ring is made of reclaimed fine silver. It is a beautiful pure bright silver. The ring band is roughly 1/8" wide and has a hammered texture on the outside. 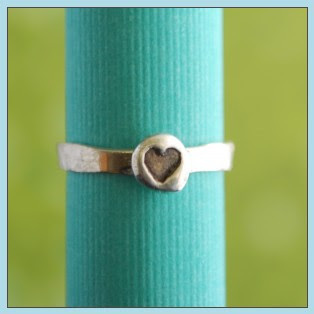 The tiny heart is stamped deep into the organic shaped metal, oxidized and measures about 3/8" in diameter. And on a personal note Christine is a warm, giving, and inspiring person who I'm glad to call a friend. This item ships free, all the way from the Netherlands, to anywhere in the world! 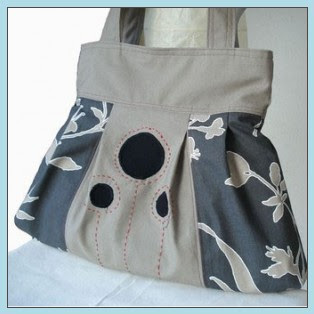 The exterior of the bag is made of dark grey home décor cotton with floral print in camel color. The middle part, the top and the straps are made of medium weight cotton canvas in coordinating camel color. The three appliqué flowers in the middle are made of black cotton canvas. Contrasting red hand stitches around the applique and red machine stitches on the exterior, including the straps, are added to give some fun and unique look to the bag. The lining is made of natural unbleached cotton. There are five interior pockets of different sizes and one pen slot. They are made of unbleached cotton and lined with beautiful home décor weight floral cotton print. I hope you liked my first four ideas. You will see many many more. Love your blog, Paige, and this one is a great idea! Mind if I steal the idea for a future blog post or posts? Yes please steal. I think the more the merrier in almost all things. And this one especially.